Chocolate cakes are very common cakes after the vanilla ones but somehow I haven't posted it till now.This is a very simple delicious cake which I have adapted from here.The texture of the cake was very soft ,light & fluffy.This cake doesn't require the hand mixer or stand mixer to mix and an easy way to just combine the ingredients.I didn't add the chocolate ganache on top instead just made a paper cut out & sifted powdered sugar on top.Try it out and enjoy with tea !! -Pre Heat oven to 350 degrees F and line a baking tray with parchment paper preferably a 8" square pan. 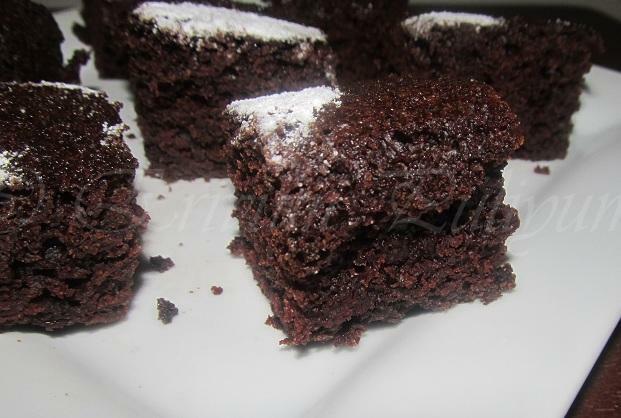 -Sift the flour ,cocoa ,sugar ,baking powder & baking soda twice. -Add the water,lemn juice,vanilla extract & melted butter. -Using a fork mix all the ingredients until combined. 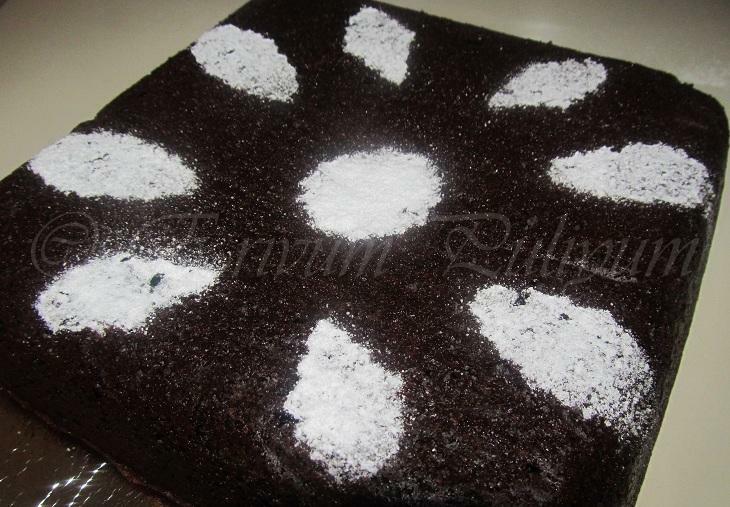 -Pour into the prepared cake pan and bake for 30 minutes until the tooth pick inserted in the center comes out clean. 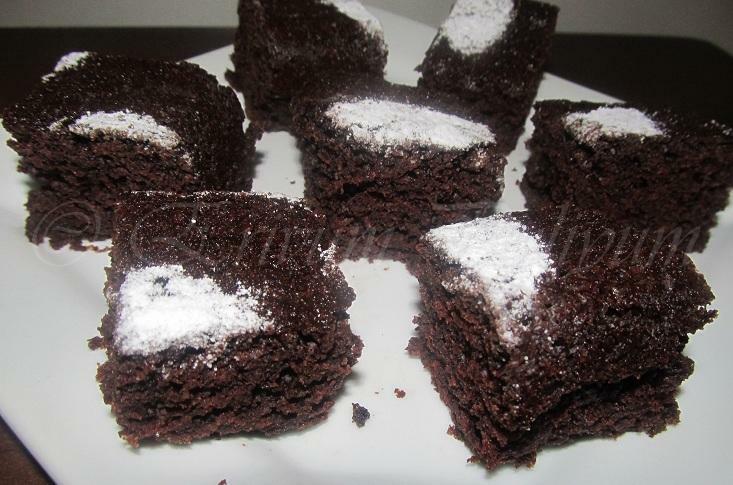 -Remove from oven ,cool on wire rack.Add powdered sugar on top or ganche or enjoy JLT !! -You can also add a scoop of ice cream on top and enjoy!! Looks delicious julie and looks so moist, and wondering about warm water in cake. Wow.. nice and beautiful cake.. looks awesome !! Yum! Chocolate cake is my favorite..perfectly done! What a coincidence..I too baked the same cake from the same source yesterday...turned out really yumm but didn't click pictures. 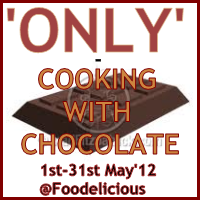 Am planning to bake it once more for the blog. Your cake looks totally delicious..really soft and spongy. 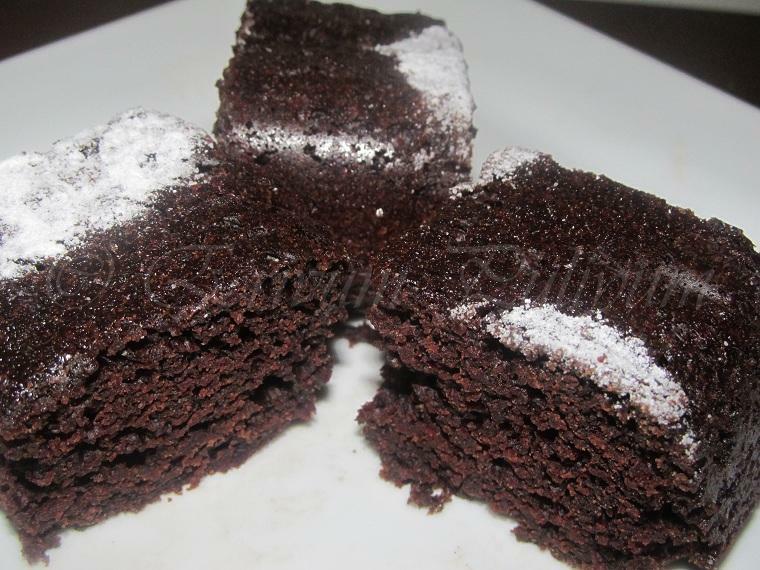 Yumm., love that rich dark color..
Eggless cake!? Wow! I am going to try this right away! Thank you so much for eggless baking recipes! Cake looks super spongy and fantastic. Looks so moist and delicious Julie. Looks divine,yummy and lovely texture. I have never tried egg less cake ,have to make some day. this one looks good. Soft and moist chocolate cake...yumm..
Hey Julie, they look perfect. You have made some delicious egg free cake. NIce! WOW No eggs and it came out just beautiful. Thanks for linking the moist and soft cake.